Amichai is a modern, clean & minimalistic, Multipurpose theme designed for Corporate, Agency or Business. This theme features unique mobile and tablet experience as well as many custom, layouts, slideshows, lightboxes, composition widgets and a lot more. 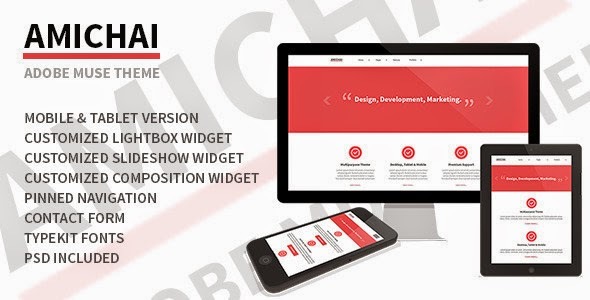 Item Reviewed: Amichai Multipurpose Muse Theme 9 out of 10 based on 10 ratings. 9 user reviews.